Natural Finish Hutch. 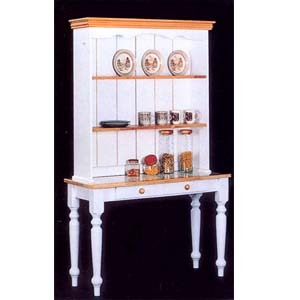 Hutch With Solid Wood Table Top And White Table Legs. Size: 48ÃL., 18W., 71-3/4H.. Strong Construction. Easy To Assemble.